Indeterminacy in the Duty of Care Analysis. 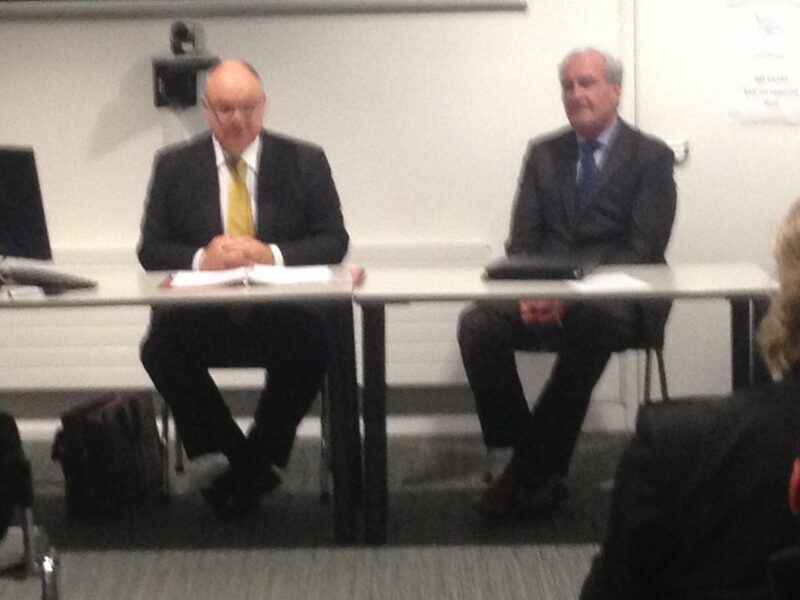 The event was chaired by His Excellency Kevin Vickers, Ambassador of Canada to Ireland. Brown J began with the observation that Chief Baron Palles was particularly influential in the development of tort law. As a consequence, Brown J took us on journey from Palles CB’s decision in Bell v Great Northern Railway Company of Ireland (1890) 26 LR (Ir) 428, through the Irish Supreme Court’s decision in Glencar Exploration plc v Mayo County Council  1 IR 84,  1 ILRM 481,  IESC 64 (19 July 2001), to the Supreme Court of Canada’s decision in Deloitte & Touche v Livent Inc  2 SCR 855, 2017 SCC 63 (CanLII) (20 December 2017). The first part of his lecture concerned the roles of foreseeability, proximity and policy in the derivation of a duty of care in the tort of negligence. In particular, Brown J considered the current status of Anns v Merton London Borough Council  AC 728,  UKHL 4 (12 May 1977) in Canada (after Kamloops v Nielsen  2 SCR 2, 1984 CanLII 21 (SCC) (26 July 1984) as refined in Cooper v Hobart  3 SCR 537, 2001 SCC 79 (CanLII) (16 November 2001)) and in Ireland (after Glencar (above)). He then introduced the notion of indeterminacy, in the context of potentially limitless liability for pure economic loss. As Cardozo J famously put it in Ultramares Corporation v Touche 174 NE 441, 444 (NY, 1931), the law should not permit “liability in an indeterminate amount for an indeterminate time to an indeterminate class”. But Brown J’s thesis is that these concerns can be too easily overstated, and can be properly met by the sensitive and careful application of the Anns test. He warned against permitting the indeterminacy tail wagging the duty of care dog. And he argued, in particular, that the defendant cannot be liable for a risk of injury against which he did not undertake to protect, and that the Anns test provided a principled basis upon which to determine both the existence and the scope of a duty of care. For Brown J, the the first question is always whether the law recognises that the subject-matter of the loss is one that ought to be compensable (referring to Saadati v Moorhead  1 SCR 543, 2017 SCC 28 (CanLII) (02 June 2017) in which the Supreme Court of Canada reached the same conclusion as Palles CB had done in Bell (above) though without the benefit of the Chief Baron’s judgment). He argued that pure economic loss sometimes occurs without injuring the plaintiff’s rights, and for that reason is irrecoverable. Hence, where the plaintiff suffers pure economic loss as a result of the defendant negligently damaging the property or person of a third party, the plaintiff has no cause of action in negligence against the defendant in respect of this relational economic loss (see Simpson & Co v Thomson, Burrell (1877-1878) LR 3 App Cas 279 (HL)). Since such relational economic loss is not a loss that ought to be compensable, much potential indeterminacy is avoided. He argued that such proximity would be established where the defendant knew the identity of the class of plaintiffs who would rely on its representation; and he gave as an example of this the decision of the Supreme Court of Canada in Haig v Bamford  1 SCR 466, 1976 CanLII 6 (SCC) (01 April 1976). Here, a firm of chartered accountants were retained to prepare financial statements for a company which was seeking investors. The firm were aware that the company intended to supply the statements to a very limited class of potential investors, of which the plaintiff was a member. The statements were prepared negligently; the plaintiff invested, but took a loss. The Supreme Court of Canada held that the accountants owed a duty of care to the plaintiff. The precision of the approach in Haig was lost in Hercules Managements v Ernest & Young  2 SCR 165, 1997 CanLII 345 (SCC) (22 February 1997), but recovered in Livent. Brown J acknowledged that attempts to establish cutoff points for the sake of cutoff points is often understandable, but he argued that they are unprincipled, and he concluded that indeterminate liability is best avoided by the proper application of the duty of care analysis. 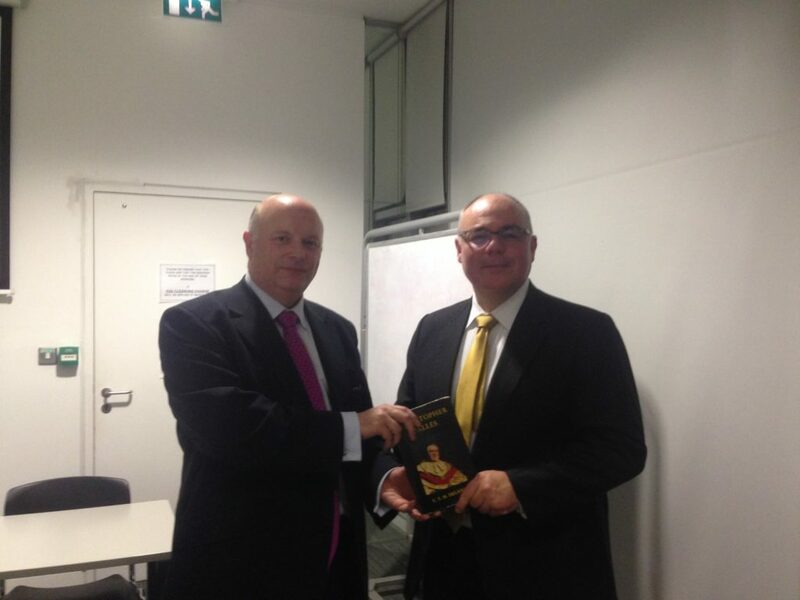 After a lively session of questions and answers, the evening concluded with a presentation of a copy of VTH Delany’s biography of Chief Baron Palles to Justice Brown. Justice Brown’s lecture provided the perfect launch for the Palles Society. 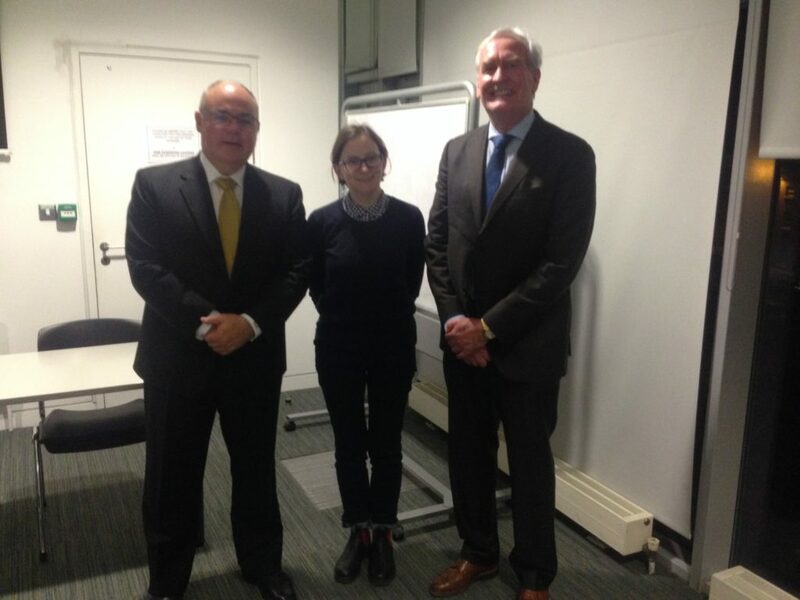 It was presented with the support of the Private Law Group (PLG) in the School of Law, Trinity College Dublin, the Events Fund of the Faculty of Arts, Humanities and Social Sciences (FAHSS), Trinity College Dublin, and the Ireland Canada Business Association (ICBA). The Palles Society is very grateful to the PLG, the FAHSS, and the ICBA, for their generosity. 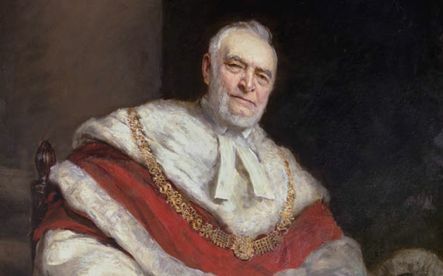 The Society is named for Christopher Palles, Chief Baron of the Exchequer in Ireland from 1874 until 1916; and it conceives of private law in very broad terms. If you are interested in receiving more information about the Society, please subscribe to our mailing list, follow @PallesSociety on twitter, or send us an email. At 6:30pm on Thursday 22 November 2018, in the TRiSS Seminar Room (on the 6th floor of the Arts Block (map and directions)) in Trinity College Dublin, the Honourable Russell Brown, Justice of the Supreme Court of Canada, will deliver a keynote lecture on the topic of Indeterminacy in the Duty of Care Analysis to launch the Palles Society for Private Law. The event will be chaired by His Excellency Kevin Vickers, Ambassador of Canada to Ireland. Admission is free, but booking (via Eventbrite) is essential. 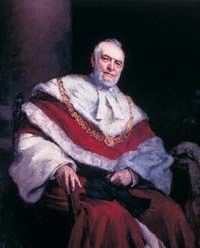 Justice Russell Brown is a puisne justice of the Supreme Court of Canada. He received a Bachelor of Arts from the University of British Columbia in 1987 and a Bachelor of Laws from the University of Victoria in 1994. He also received a Master of Laws in 2003 and a Doctor of Juridical Science in 2006, both from the University of Toronto. From 2004 to 2013, he was a Professor of Law at the University of Alberta. He was admitted to the Bar of British Columbia in 1995 and to the Bar of Alberta in 2008. 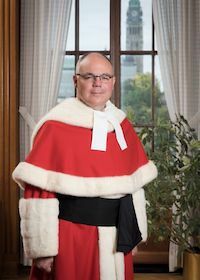 He became a judge of the Court of Queen’s Bench of Alberta in 2013; he was elevated to the Court of Appeal of Alberta in 2014; and he was appointed to the Supreme Court of Canada in 2015. He is the author of Pure Economic Loss in Canadian Negligence Law (LexisNexis Canada, 2011), as well as articles, chapters and essays on tort law, property law and civil justice. Kevin Vickers (pictured left) was appointed as the Ambassador of Canada to Ireland in January 2015. He previously served as the Sergeant-at-Arms of the House of Commons. He is the recipient of the Queen’s Jubilee Medal, the Canada 125 Medal, and the RCMP Long Service Medal. Justice Brown’s lecture is presented by the Palles Society for Private Law in association with the Private Law Research Group in the School of Law, Trinity College Dublin, which facilitates scholarly research, academic collaboration, and extensive public engagement, on all areas of private law, nationally and internationally. It is supported by the Events Fund of the Faculty of Arts, Humanities and Social Sciences (FAHSS), Trinity College Dublin. Justice Brown’s lecture is kindly sponsored by the Ireland Canada Business Association. If you are interested in receiving more information about the lecture or about the Palles Society for Private Law, please subscribe to our mailing list, follow @PallesSociety on twitter, or send us an email.